Click HERE for the Regular Class programming and HERE for the On Ramp! Post in comments if you would like to receive an invitation for Beyond the Whiteboard! Notes: Most athletes will use dumbbells or kettlebells for the Turkish get-up. If you need more weight or challenging variation you may use a barbell. Notes: Feet must touch the top of the box for the burpee box jumps. The Shoulder touches can be performed in free space for the advanced athletes. The scaled versions include feet on the wall with the body at a 45 degree angle or feet on a box with the body parallel to the ground. The On Ramp Group classes are returning this week! I had the pleasure of introducing CrossFit to over 50 people last week and most of them have decided to sign up! If you have anyone interested, get them into one of our Intro classes before they fill up again! The On Ramp classes will be running throughout the day, so get ready for a lot of new faces and be sure to introduce yourself and make them feel at home! I have never written a mission statement, but through this past week and speaking with so many new people, I began to see a trend in my message: Changing Perspectives. Our goal is to show you how your health and fitness is directly related to your quality of life. The idea is almost too simple to believe. Make a list of everything that you want to improve in your life; it can be anything, from being a better parent to looking better naked to performing better at work to whatever! If you dedicate and prioritize your life around becoming healthier and fitter, all of your goals will come true! Seems too good to be true right? If its that simple, then why don’t more people do it? The most common reasons: not enough time, not enough money and not a priority. Our goal as a gym and a community of individuals is to smash these reasons to smithereens! We want to change your perspective for what is normal? What we spend our time doing on weekends, the cost of a gym membership, how we eat, what is beautiful (see above video), what we do at a gym, what we talk about with friends. We must embrace these changes as part of our journey towards a life based on Health and Fitness! Ragnar Relay in Napa! 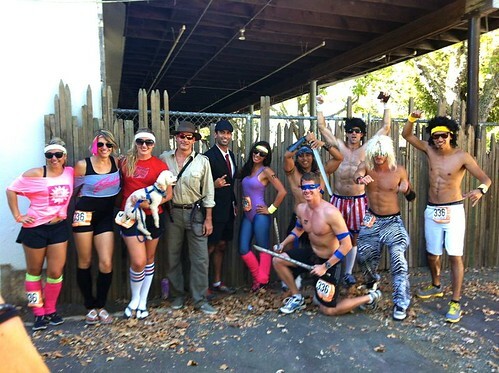 12 athletes, 200 miles, 30hrs in 2 vans…with an 80s theme of course! 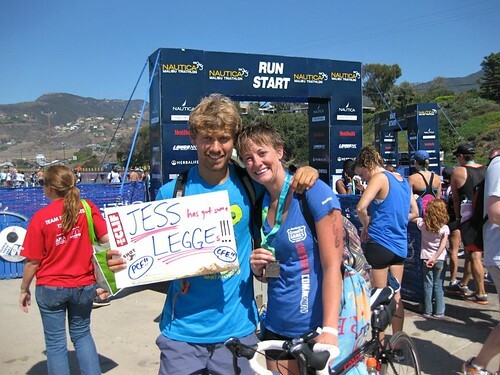 Jess ran the Malibu Triathalon in 3hrs 21min! 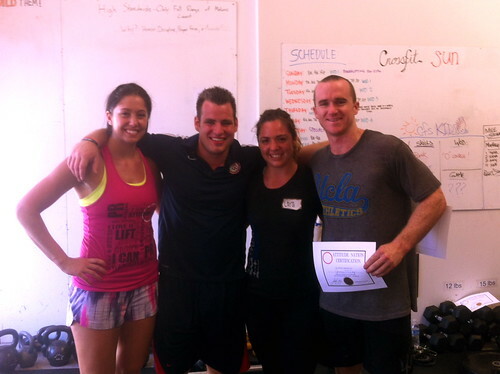 McCoy and Lara picking up some knowledge at an Olympic Lifting seminar with Jon North!